Ensure staff credentials are valid, current, and compliant. LicenseManager Pro® is a healthcare license management system that provides ongoing, post-hire primary source verification of licenses, certifications and registrations. As a healthcare employer, our system assists you to ensure compliance with mission critical license/certification requirements per each job description. Stay ahead of healthcare accreditation requirements, CMS directives, and Federal and State law with a streamlined process facilitated by our system. PreCheck’s LicenseManager Pro system facilitates compliance through primary source verification, routine quality assurance, and dual credentialing. Keep your licensure data in consistently in-sync with our bi-directional data integration, available at no additional cost. Seamlessly monitor required licenses and certifications, board actions, and system reports with our License Requirement Table customized to your specifications. Track healthcare professional licenses. Over 1,100 Primary Source verifiable licenses and certification types monitored. Monitor certifications and registrations such as ANCC, ARRT and PTCB. Get daily Nursys Notifications through our direct integration with NURSYS®. Ensure your staff’s data is always in sync with the data monitored in LicenseManager Pro in real-time. Use the monitored data with your internal programs such as scheduling and system access with our custom integration capabilities. LicenseManager Pro adds licenses to be monitored based on job code; and acts as a layer of compliance protectionshould someone fail to enter the appropriate credential in your internal database. With over 25 years of experience in healthcare screening, PreCheck offers award-winning services to a diverse healthcare client base. As your screening partner, you can expect the highest level of customer service and a quality experience from PreCheck. No additional fees for primary source verifications completed by fax, phone, email, or that require an upfront fee. My company has been using PreCheck for three years. In that time, they have worked very hard to meet our company’s needs and continually provide excellent customer service. We are using them for background screenings, license monitoring, and sanction checks. By using PreCheck, we can be confident that we are exceeding federal and state laws and regulations. PreCheck makes my job so much easier! WellStar Health System partnered with PreCheck in May 2005 and we have been a “team” from the start. Prior to the partnership, our HR staff had the responsibility of completing the screening for our applicants, performing Primary Source Verifications for all of licensed personnel, and manually verifying the OIG sanctioned list. With 12,000 plus employees, PreCheck has efficiently helped our system become a world class health system. LicenseManager Pro completes the Primary Source Verifications for all of our licensed personnel. License renewal letters are generated for each licensed personnel as a reminder, months in advance of their licensed expiration date. This process enables the nursing managers to focus more on the care of our patients. Since 1993, PreCheck has focused on serving the healthcare industry's background screening needs. Today, we offer healthcare background check solutions customized for human resources departments, medical staff services managers, and nursing and allied health educators. All of our healthcare background check packages are customized to meet the industry's complex regulations, accreditation standards, and best practices. 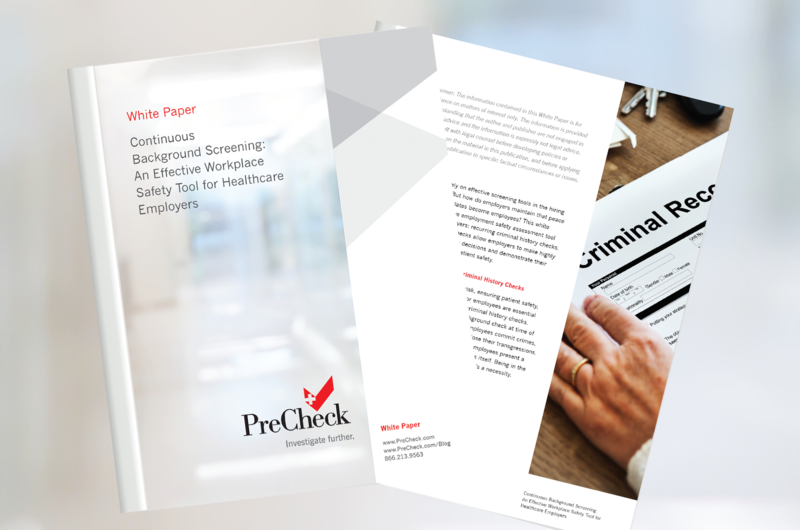 SanctionCheck® exclusion and sanction screening ensures everyone engaged with your facility is compliant. 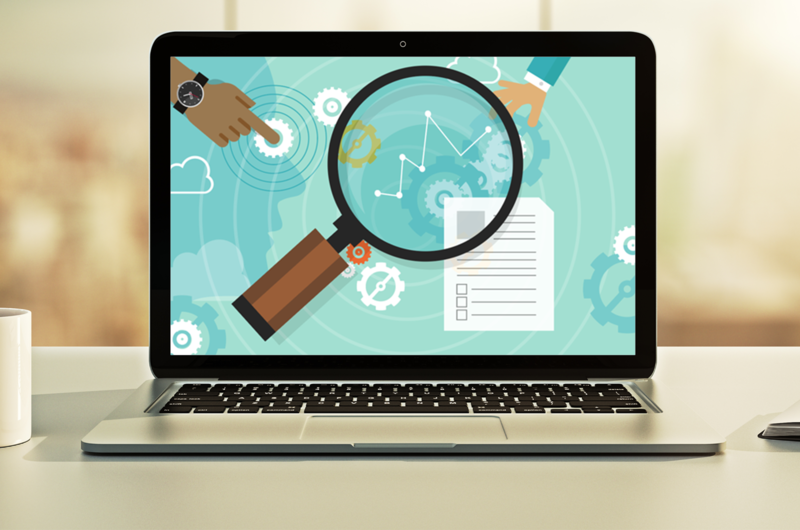 As a healthcare employer, sanction screening compliance is becoming more demanding, with CMS directives and OIG guidelines now recommending a monthly search of federal and state databases. If not done thoroughly, your facility is at risk of being fined and excluded from federally-funded healthcare programs. PreCheck offers drug testing and occupational health screening services to meet your healthcare organization’s workplace policies or medical bylaws and standards. 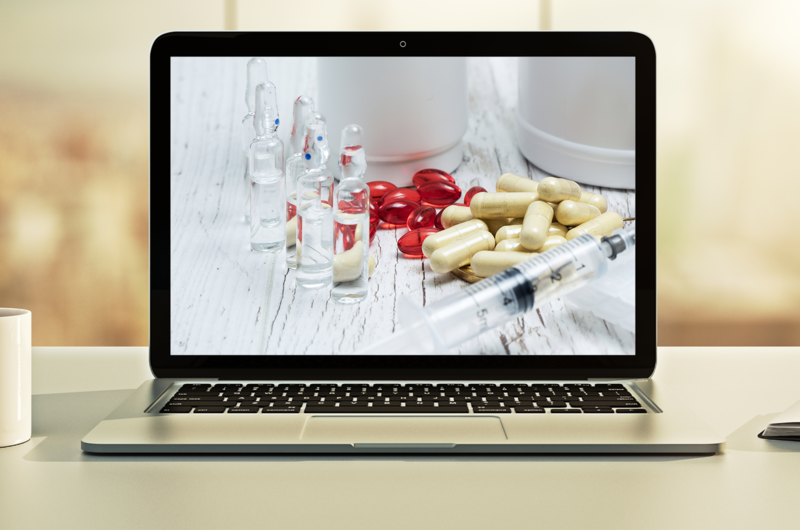 As your third party program administrator (TPA), we can help you implement your workplace drug and health testing requirements to ensure accurate testing with high quality service. As a client, you’ll get access to our network of collection sites and clinics to perform drug testing, physical exams, and other work-related health testing. PreCheck’s immunization tracking and health record management service is designed to facilitate the management and tracking of immunizations and various other records of students and employees. Healthcare standards require that all individuals have received certain vaccinations and PreCheck can help you streamline the way you manage records to ensure compliance. I-9Ensure® is an electronic Form I-9 system fully integrated with E-Verify. In one fluid process, your candidates can complete the Form I-9 online, store supporting documentation electronically, as well as submit to E-Verify. You can also easily monitor upcoming work authorizations and other I-9 and E-Verify action items. I-9Ensure stores your Form I-9s in one place, making it easier to track compliance and to supply Form I-9s to ICE in case of an audit.